Everything was perfect .We enjoyed the panorama and the comfort and facilities of the house . 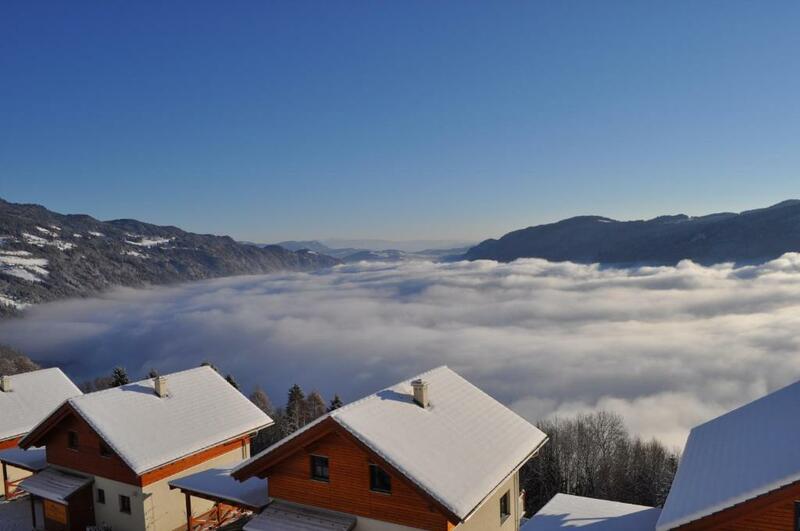 Absolutely fantastic view, very spacious and everything is there. evreything was there even towels and toiletpaper. House is *really* beautiful and cozy. The interior design, cleanliness and sense for details, all on a very high level. Photos do not lie - it's actually as good, or better. There is literally not a thing missing. Wellness area is a wonderful place to be after a hard day of skiing. Conveniently placed near Gerlitzen parking lot (parking ticket included). View on a lake and mountains is breath-taking. The views were stunning and the wellness area is a nice touch. Die Lage sowie der Ausblick war traumhaft! Das Frühstücken auf der Terrasse während die Frühlingssonne schien, war sensationell! La tranquillité, et se sentir comme chez-soi C’était un séjour très agréable et relaxant. 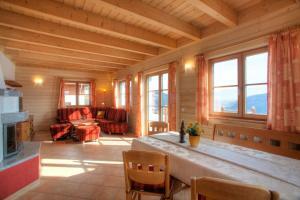 Lock in a great price for Mathiasl Wellness-Ferienhäuser – rated 9.6 by recent guests! One of our top picks in Bodensdorf.Overlooking Lake Ossiach and the surrounding mountains, Urlaub mit Seeblick-Panoramablick offers comfortably furnished holiday homes with a spa area, free WiFi and a private beach access at Lake Ossiach, which is 1.9 mi away. The Gerlitzen Ski Area is 3.7 mi away. Decorated in an Alpine style, the holiday homes consist of 3 bedrooms, a living room with a fireplace, a fully equipped kitchen, and 2 bathrooms with shower and toilet. They furthermore feature a balcony or a terrace, and a carport for up to two cars. 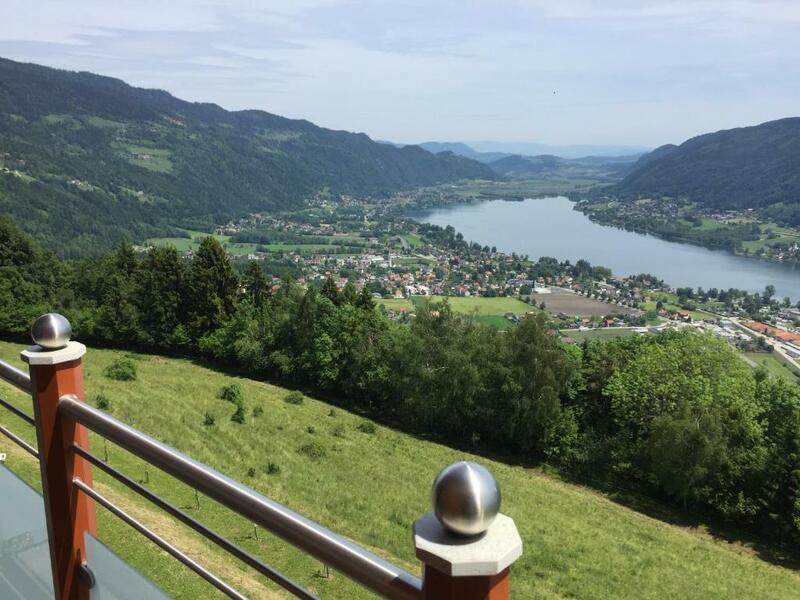 Guests of the Urlaub mit Seeblick-Panoramablick can relax in the garden with sun lounger and barbecue facilities, or in the spa area including a sauna, an infrared cabin and a spa bath. 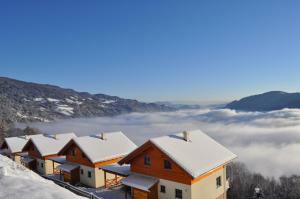 A children’s playground and a ski and bike storage are furthermore at guests’ disposal. The nearest restaurant is 350 feet away, while a grocery shop can be found in the center of Bodensdorf, which is 1.6 mi away. Hiking and cycling is possible right from the doorstep, and in winter, cross-country skiing trails are 3.7 mi from the holiday homes. From April to October, the Kärnten Card, a guest card, is included in the rate and offers several benefits and discounts. 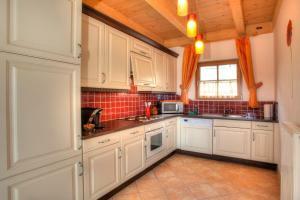 This property is also rated for the best value in Bodensdorf! Guests are getting more for their money when compared to other properties in this city. When would you like to stay at Mathiasl Wellness-Ferienhäuser? 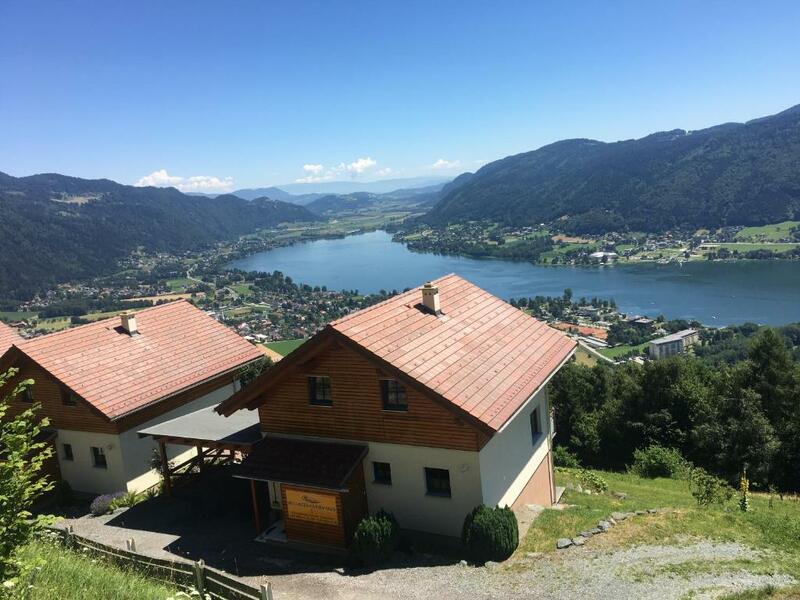 Offering a balcony and a terrace with scenic views of Lake Ossiach and the surrounding mountains, this holiday home consists of 3 bedrooms, a living room with a sofa, a dining area and a fireplace, a fully equipped kitchen, and 2 bathrooms with shower and toilet. It furthermore features a sauna and a spa bath, and a carport for up to two cars. Auf 800m Seehöhe - oberhalb der Nebelgrenze - befinden sich unsere Wellnesshäuser am Sonnenhang der Gerlitzen Alpe. Nur ca. 3 km vom Ossiachersee und rund 5 km vom ersten Lift entfernt, bietet unsere kleine Ferienanlage die ideale Voraussetzung für Ausflüge in unsere einzigartige Region. Wunderschöne Ausflugsziele, egal ob in die unberührte Natur oder in Tourismuszentren gibt es sehr zahlreich in unmittelbarer Nähe. Für jede Menge sportliche Aktivitäten ist ebenfalls gesorgt. Oder einfach Ausspannen vom Alltag und mit der Seele baumeln. Die vier Ferienhäuser wurden unter vorwiegender Verwendung von biologischen Materialien errichtet. Durch die sorgfältige Auswahl der Baumaterialien und durch die besonders geschmackvolle Ausstattung der einzelnen Ferienwohnungen haben wir für unsere Gäste die beste Grundlage für einen unvergesslich schönen Urlaub geschaffen. Direkt von den Häusern starten Wanderweg in 6 verschiedene Richtungen - Die Gerlitzen Alpenstraße, eine der schönstenn Panoramastraßen Kärntens führt Sie direkt auf die Gerlitzen Alpe - in unmittelbarer Umgebung befinden sich zwei gute Restaurants! 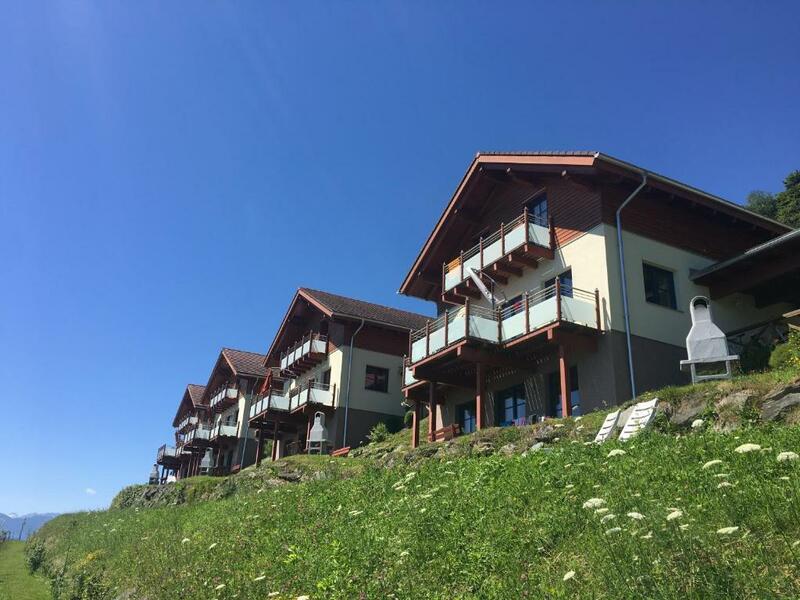 House Rules Mathiasl Wellness-Ferienhäuser takes special requests – add in the next step! Mathiasl Wellness-Ferienhäuser accepts these cards and reserves the right to temporarily hold an amount prior to arrival. Please inform Mathiasl Wellness-Ferienhäuser of your expected arrival time in advance. You can use the Special Requests box when booking, or contact the property directly using the contact details in your confirmation. Liked everything just forgot to mention that the jacuzzi side jets weren’t working and the sauna door knob was off and the sauna didn’t heat up properly. Wi-Fi might be a bit better. The jacuzzi is a bit noisy. I think a hot tub on the decking would be nicer. Beautiful place with awesome view.